Depending on your height, weight and level of skill, you may require a board made specially for you. Most boards today are made in a factory, and are one-size-fits-all. You have to fit the board, rather than the board fitting to you. 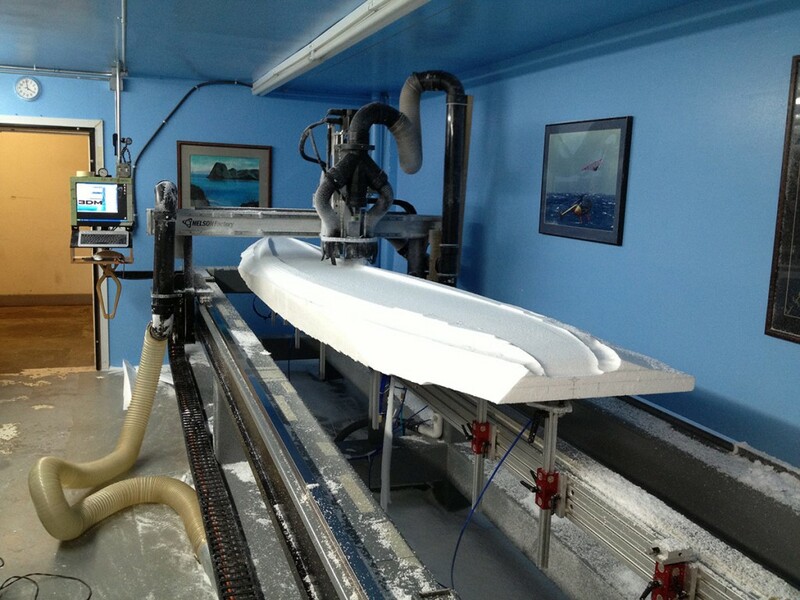 Nelson Factory is one of the few operations in the world that will make a custom board, constructed just for you. – Let us build your new board specifically around your needs, from ultra light to supper bomber, we can help you! – Check out all the Pros we have worked with, more than any other custom shop in the world! Levi Siver, Kauli Seadi, Josh Angulo, Marcilio “Brawzinho”, Ricardo Campello, Jason Polakow, Björn Dunkerbeck, Matt Pritchard, Kevin Pritchard, Robby Swift, Nik Baker and many more! – See all the Companies we have worked with from shops to some of the biggest brands in our industry! Mistral, Fanatic, F2, Quatro International, JP Australia, Neil Pryde Maui, Sean Ordonez SOS, Charlie Smith, Timpone, Jimmy Lewis, Angulo and many more! I would like to get an estimate on a custom board. I am a short sailor and have not found anything that really fits me in the production world. What I have in mind is something that will be short and wide, with at least tri-fin option or ideally a 5 box board. What really is the most important is the width between straps and mast and both front and back straps. This is the main reason for a custom board: at my level (20+ years of windsurfing, slalom, wave and freestyle) I can tell the board is holding me back. I sailed 100+ days in the Bay area, whether it be the coast or the big swell of the inside of the bay. rocker: faster than hookipa board but still loose. I am light and planning or speed are not an issue. I was something carvy and turny. I have a graph to give you the distance between fin base, mast base and footstraps. I will send you with a reply to your reply. Please contact me by email or phone: 415 547 9039 to discuss, price, timeline and the board itself.. Thank you for taking the time to drop us a line, it sounds as though you are the perfect candidate for one of our custom boards. I look forward to working with you to design and build the board you have been looking for.